We get it – estimating credit card fees can be tough! Dharma is here to help. Will you process above $50,000/month in credit card volume? 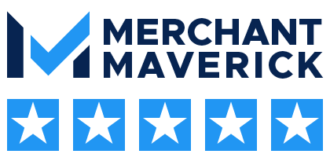 In our experience, once volume levels exceed $50,000/month merchants tend to have more unique processing needs. In addition - at higher volumes, even one incorrect assumption can make a big difference in estimating rates. With that in mind, know that you're welcome to estimate costs with our below tool, but we highly recommend allowing Dharma to perform a full rate review against your current provider. Let our trained analysts take a look at your statements to see what kinds of savings we can find - either by offering lower rates than your current provider or by educating you on how to receive lower interchange rates by changing your processing habits. Click Sign Up at the top-right of the page to submit a statement for review. How do you primarily process cards? What's included in our estimation? Discover transactions - typically these make up less than 1% of overall volume, and fees are similar. Ready to move forward? Click "Submit" to start a pre-application with Dharma! Note: the figures we generate are estimations. Due to the way interchange-plus pricing works (read more here) your rates will be dependent on the types of credit/debit cards your organization accepts. Dharma’s margins are always constant! But in order to do a cost comparison, we’re forced to make a few general assumptions about the nature of your processing. Our estimations may vary from what rates you receive, based on several factors.